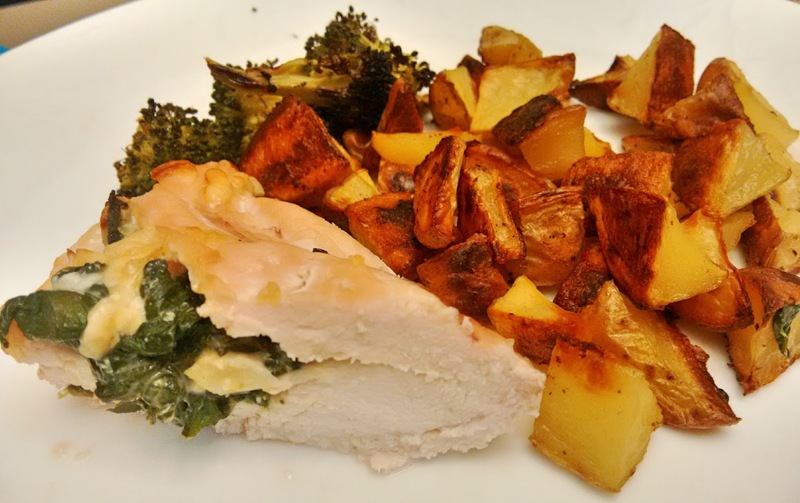 Stuffed chicken is such an easy to make, yet impressive looking dish! We served this with Yukon Gold potato wedges and roasted broccoli. 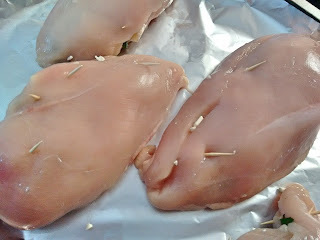 Larger chicken breasts are easier to butterfly, so I used chicken breasts that were five per kilogram. They make a very large serving size, so you can slice them in half to serve if you prefer. To butterfly the chicken, use a sharp knife to slice all the way down the side, so that the chicken breast opens like a book. Preheat the oven to 375°F. Line a baking sheet with aluminum foil and grease with canola oil spray. Grease a skillet with olive oil and set to medium heat. Add garlic and spinach and saute until spinach wilts. Set aside to cool. 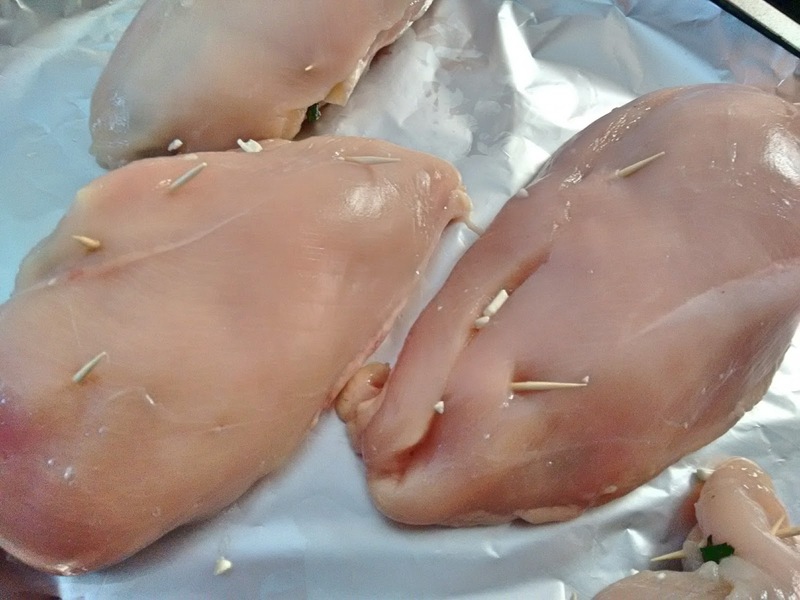 Butterfly chicken breasts and lay them open on pan lined with foil. Add feta cheese to spinach mixture, and mix to combine. Place a line of spinach and feta mix on one side of chicken breast, then flip the other side of the chicken over top of it and fasten shut with toothpicks. Place pan in the oven and bake for 35 to 40 minutes, until chicken is fully cooked (juices will be clear).